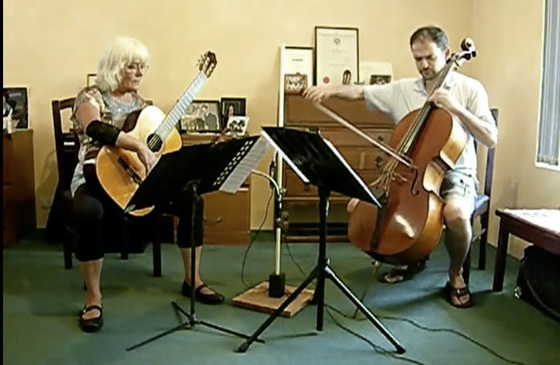 Jane Darcey playing classical guitar with her son Beren Scott playing cello. 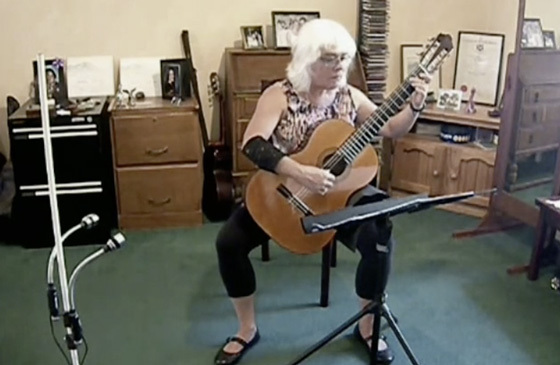 Jane Darcey playing classical guitar. 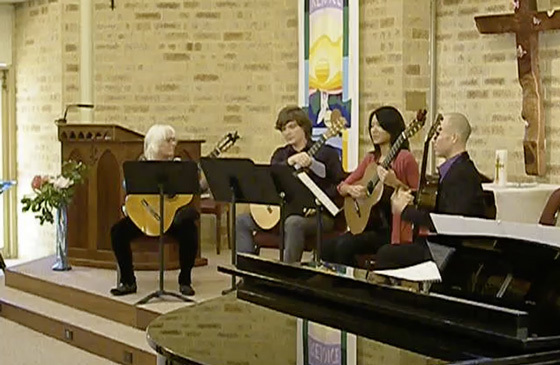 The Performers Are - Jane Darcey, Mathew Laurenson, Chris Yeong, Duncan Gardiner, composer Jane Darcey. Jane Darcey and Duncan Gardiner.